The International Director of the Patron of the Arts in the Vatican Museums will offer an inside view to the fascinating world of art restoration that is carried out on a daily basis in the Vatican Museum’s six on-site restoration laboratories, while presenting some of the most stunning before and after images of the newly restored works and offering an update on some of the exciting bio-technologies being implemented by the Museums in the restoration process. Fr. Kevin Lixey is originally from Flint, Michigan. He graduated from Powers Catholic High School in 1987. During his summers in high school, he attended art and pottery classes at the FIA. After attending two years of college at St Johns College in Annapolis, Maryland, he entered the seminary. In 2001, he was ordained a priest for the religious congregation, the Legionaries of Christ and holds a Masters in both philosophy and systematic theology from the Pontifical Athenaeum Regina Apostolorum in Rome. As a newly ordained priest he worked three years in Texas and was also Vice-rector of the Legionaries Novitiate and Humanities seminary in Cheshire, Connecticut. He was then called to Rome to found and head up the “Church and Sport” section within the Vatican’s Pontifical Council for the Laity from 2004-2012. From 2012 to 2017 Fr Lixey was a spiritual director and retreat master for the Regnum Christi Ecclesial Movement in Atlanta, Georgia. 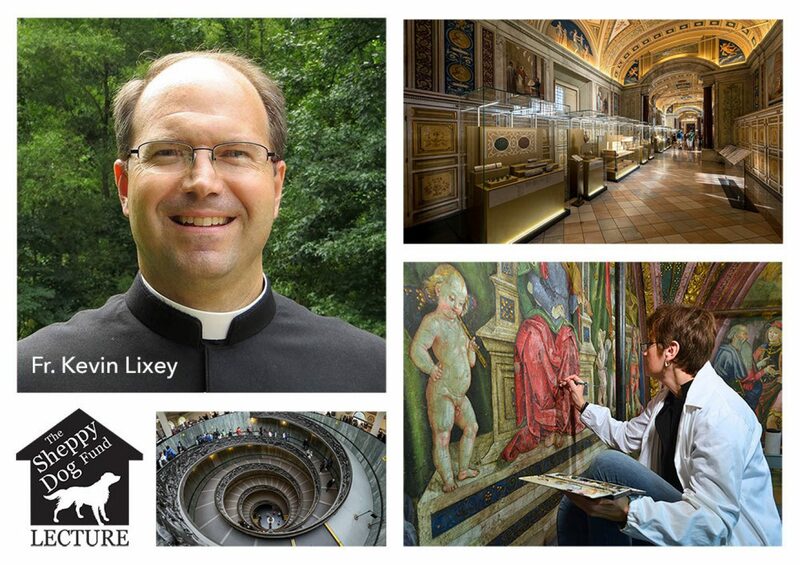 As of September 2017, Fr Lixey divides his time between the Vatican and North America as he serves as the International Director of the Patron of the Arts in the Vatican Museums. The Sheppy Dog Fund Lecture has been established to address the topics of art, religion and history prior to the 19th century, and is funded by The Sheppy Dog Fund, Dr. Alan Klein, Advisor.